According to this website, I'm still 26...and that just won't do! I think it's time for a major revamp. But until then, I'll fill you in on the goings on of the past few months. First of all, Chimp Spanner now has a live band! Paul Ortiz (that's me), Jim Hughes, Adam Swan and Boris Le Gal hit the road for the first Chimp Spanner tour with Aliases and Cyclamen back in April, and it couldn't have gone better. If we had any doubts that an instrumental progressive project could hold its own against heavy technical vocal based bands, they were soon dismissed. Now, on to the next big bit of news: we're touring the UK again in September with TesseracT and Uneven Structure. This isn't one you want to miss guys, so check out the link below for all the venue locations and gig dates. Lastly, as usual, new material is on the way! Anyone that knows me knows how particular I am about my songs, usually at the expense of speed. But with over an hour of assorted material, there's more than enough here for the upcoming EP and full length which will follow. Thanks for being patient during this uncharacteristic musical blackout - I'm going to try and get some teaser clips/tracking videos together so you can at least hear what's in store. Drummers - come get your click tracks! I'm guessing you will all have the complete versions, but if you don't, let me know and I'll send them over. Have fun, and I look forward to seeing some cool videos/hearing some cool recordings! 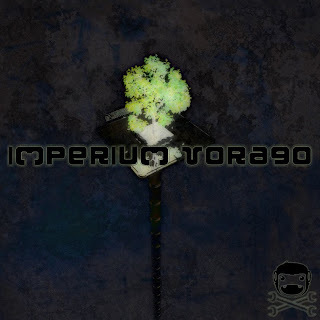 Imperium Vorago now available on iTunes! Enough of you have asked for it so, here it is - the first Chimp Spanner release, "Imperium Vorago" from way back when in 2004! Most of the songs on it are even older than that! You can get it on iTunes here! I've already had a few people asking if there are plans to release it physically...honestly, I don't think so. Obviously nothing is ruled out! But I can tell you that as things stand, the next physical release will be 100% new! And hopefully quite soon! Oh and lastly, for those of you who don't use iTunes, Imperium Vorago will be coming to Amazon MP3, Spotify and We7 early next year! Chimp Spanner goes live! Kinda. Next year. Hopefully. Well it's been a long time since I updated this thing. The Winds of Plague tour with Monuments was absolutely killer, and has given me some invaluable live experience not to mention some extreme fun-times! The new album is progressing slowly, but with a new POD to tinker with, no doubt inspiration will strike eventually. ...a drummer! I'm not looking at doing show after show after show. 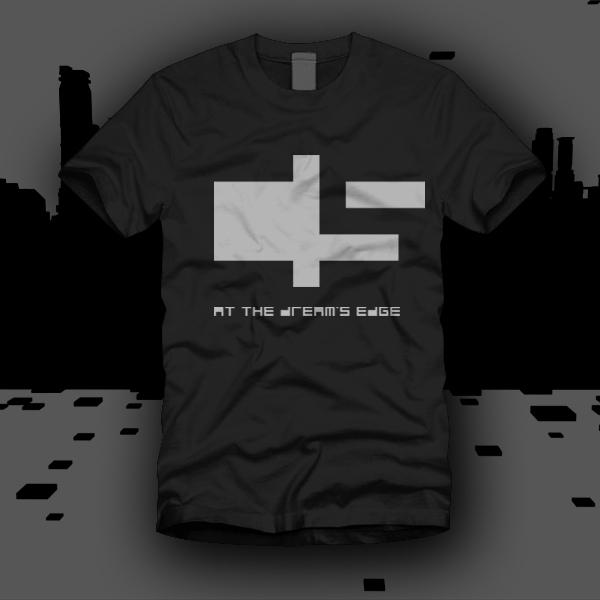 It's the kind of set that will need a certain audience, playing with certain bands. So the aim, at least initially, is to do fewer better shows, rather than a ton of not so good ones. As some of you might know I'm based in Colchester, so 2-3 hours travel time would be ideal. So, what I will do is after the weekend, I'm going to release two drum-less tracks (with metronome) from the album. If you need the original full songs, please get in touch with me using the Contact link and I can send you the tracks privately. Well, Euroblast has come and gone, and what else can I say except...what an amazing weekend! It was great to see so many of you come from near and far to check out all the music on offer (and there was a lot of it), and even better to finally get to meet some of you in person! Also major congratulations to both Uneven Structure, and Aliases, both of who played their first shows, and totally tore the place up in the process! Thanks must go to John Sprich for organizing the event, and the team of wonderful people he put together to see to everything from sound and lighting...to soup and chili. I couldn't have felt more welcome in your country, so thank you all! 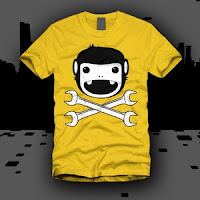 Chimp Spanner tee's now available! Well, enough of you asked for it! 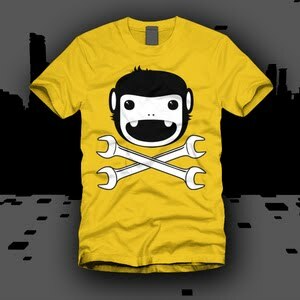 So, thanks to the good folk at Basick, you can now get your hands on some official Chimp Spanner tee shirts! 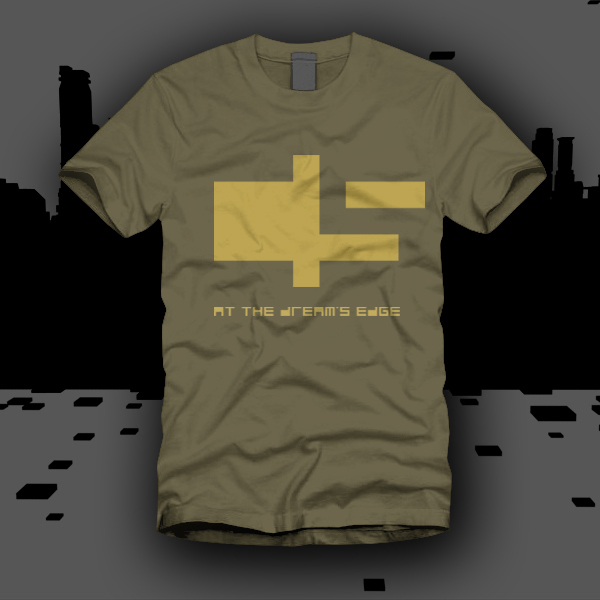 And to pre-empt your question...yes, they ship world wide!